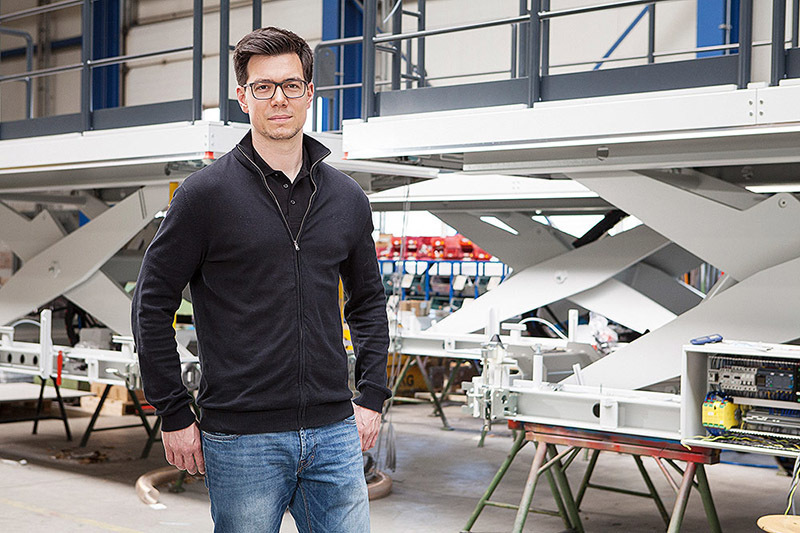 Productivity at work demands more than ever ergonomics and safety for people and production technology. 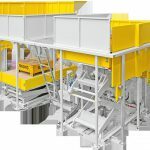 More than a dozen construction designers at Gruse take care of the development of a wide range of product solutions for lifting, tilting and turning to reduce the strain on production workers. 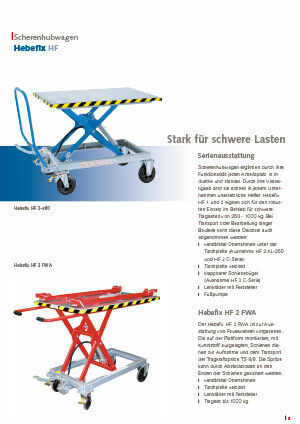 Gruse has been supplying material handling machines for over 35 years. 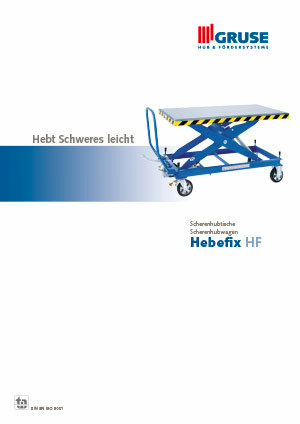 At first we developed the Hebefix lift truck. This was followed by many more devices. 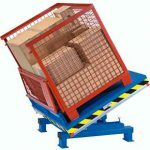 to facilitate the handling of loads in everyday work, e.g. 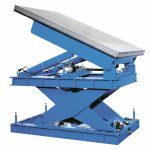 lift and tilt tables, column lifts, barrel and tipping devices. 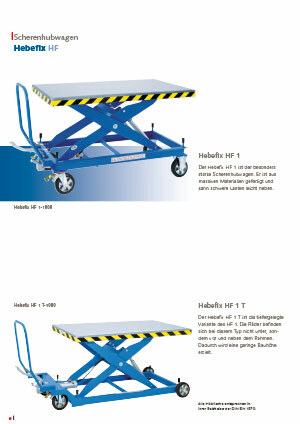 Depending on the intended purpose they can move loads of 150 kg up to 3000 kg. 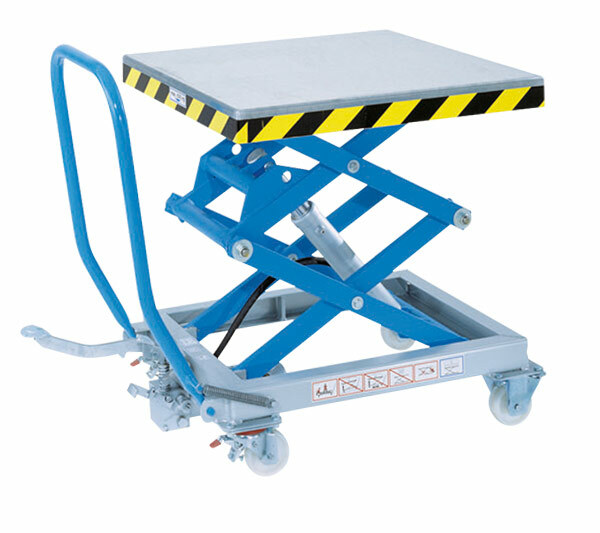 Lift trucks supplement every workplace in industry and trade with their functionality. 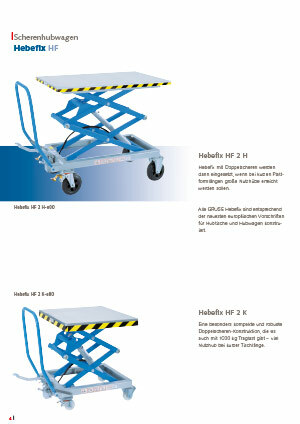 Their versatility makes them irreplaceable helpers in any company. 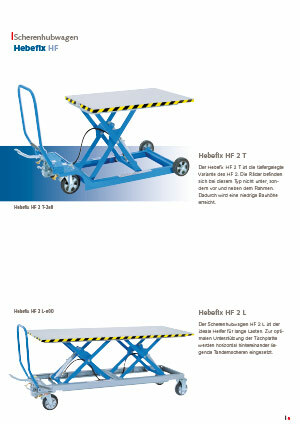 These practical devices should not be missing from any operation. 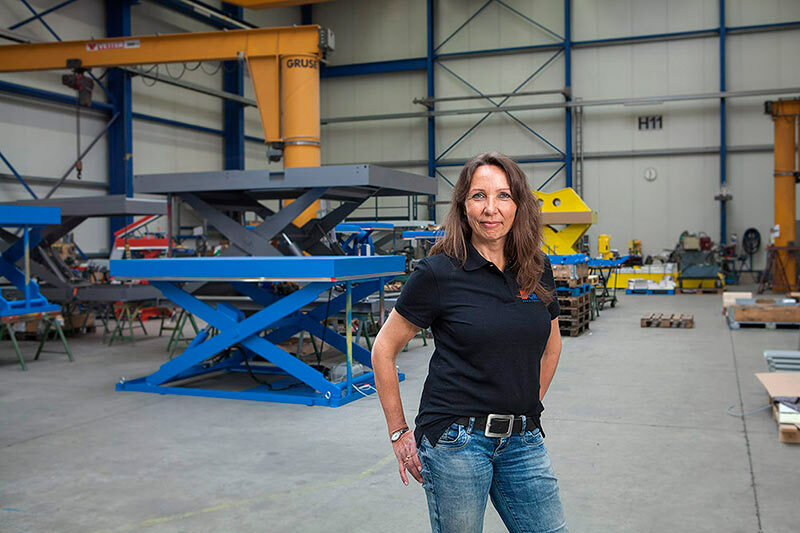 The concept of Gruse lift trucks is simple: machine, pack, repair and assemble at an ergonomic working height. Custom-made lifting trucks tailored to your requirements are the answer for many more tasks. 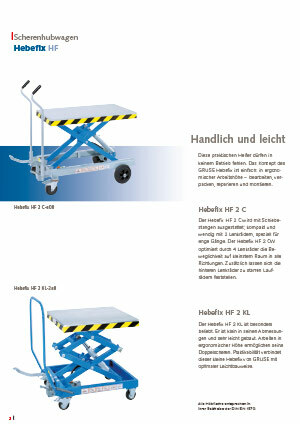 All lift trucks are manufactured according to the European regulations DIN EN 1570. 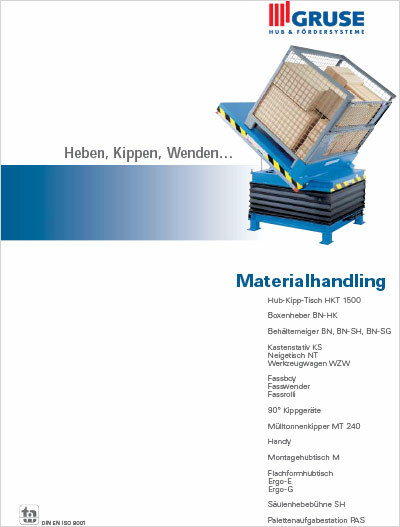 Take a look at our brochures and explore the various solutions and features that our material handling equipment has to offer for your intralogistics. Or let us advise you directly. Simply give us a call, or fill in our contact form.